Gorgeous clothing like this Ultimate Stylista Cream Cotton Tunic with Ban Collar from the house of Snehal Creation is a favoured choice among fashionable women of today. This simple casual wear piece has cream coloured cotton fabric with pink motifs spread across it. 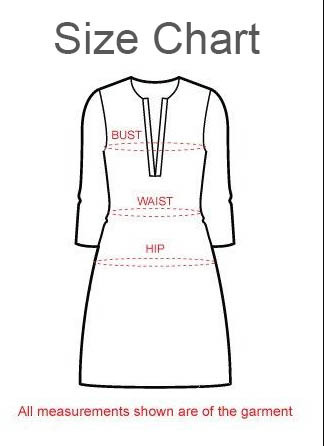 Tunic is tailored to have a buttoned front open style along with A-line silhouette and long sleeves. Get going in this modern day ethnic style !